Who Can Walk The Walk? The death of Gary Speed has shook us all. We were both sport writers for Betfair but the article below was my take on his appointment as manager of Wales less than a year ago (10th December 2010). 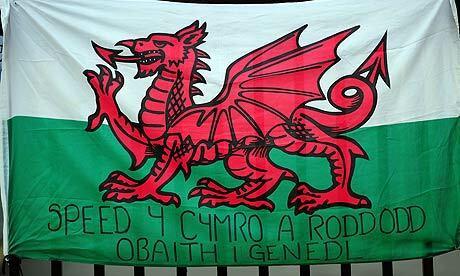 Welsh football, and the national team in particular, has low expectation levels and little pressure to succeed. Even allowing for the lack of resources, it is embarrassing that they are currently ranked 112th (below the likes of Jordan, Togo and Syria). 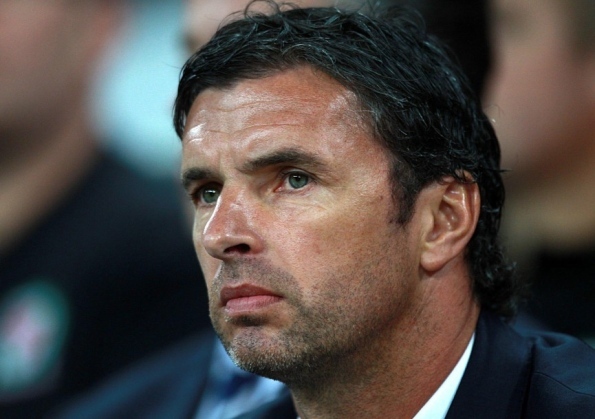 This complacency serves to fuel self-fulfilling prophecies so when former Betfair columnist Gary Speed was confirmed as the new manager of Wales, it was greeted with muted optimism. We know very little of Speed the football manager. He was only in charge of Sheffield United for 18 matches so there are few clues to his favoured approach in terms of system and the type of players he likes to have in his starting eleven. One thing we can all agree on is we should not doubt his footballing pedigree. This model professional has played in the top flight for Leeds United, Everton, Newcastle and Bolton Wanderers and was the first to play 500 games in the Premier League. He played 85 times for Wales, beaten only by Neville Southall's record number of games. He was a very professional, disciplined and clever player who kept himself extremely fit and to find another Welshman more qualified to manage Wales is difficult. Despite his inexperience the appointment appears sound and certainly much better than the other interviewees - Chris Coleman, John Hartson and Brian Flynn although ex-Sweden boss Lars Lagerbäck was an interesting applicant. The structure and mentality of Welsh Football is dire and something he will not be able to influence. Discarding the inherent and archaic amateurism will not be easy. The demographics of the country make radical change almost impossible! There is a desperate need to generate interest north of Swansea, especially with coaching clinics but how that is achieved is anybody's guess. Wales need a benefactor or a visionary to help in these areas. Perhaps the Welsh Assembly could help with some sort of funding? Getting a Welsh club promoted into the Premier League would be an enormous boost to the national manager as this would raise skill levels significantly whilst giving players a platform to perform. Speed's personality will now be scrutinised for the first time in his career. One imagines he has ideas to improve the region and it will be intriguing to see what they are. Although acknowledging the poor resources and raw material he has to work with he needs to avoid the excuses and negativity of previous administrations. Other ways to close the skill gap? Whilst looking at new areas to eke out extra performance, his primary challenge is how he deals with limited players. He must not allow the initial burst of energy to turn into customary lethargy. When sides lack the requisite skill and class they must find other ways to close the gap. Getting fitter, smarter and developing team spirit does not cost money so a good place to start. The fusing of Craig Bellamy with the emerging talents of Gareth Bale and Aaron Ramsey could kick-start the recovery. Could or should Ryan 'Absentee' Giggs be given a role? He has nothing if not experience after twenty plus years of playing at the highest level but we have always doubted his selfish character! Speed's quiet disposition appears at odds with his archetypal countrymen so he needs to transmit his message convincingly from the top of the pyramid downwards. There are those in British football who will say that it does not matter who manages Wales, given their relative paucity of talent - there are only varying degrees of failure. His first game is against the Republic of Ireland away in the new Carling Nations Cup in February before England visit the Millennium Stadium in March 2011. Perhaps the 2014 World Cup preparations should start now.